*Required is a scaled outline in dwg or dxf-format in order to create an Installation Plan. If not scaled outlines and freehand sketches are provided, we will bill you the transformation to the appropriate CAD-format. The extended PowerFloor Slimline Application-Manual is indispensably to be read. Before laying out our boards, the surface must be load-bearable, dry, clean, and plane. 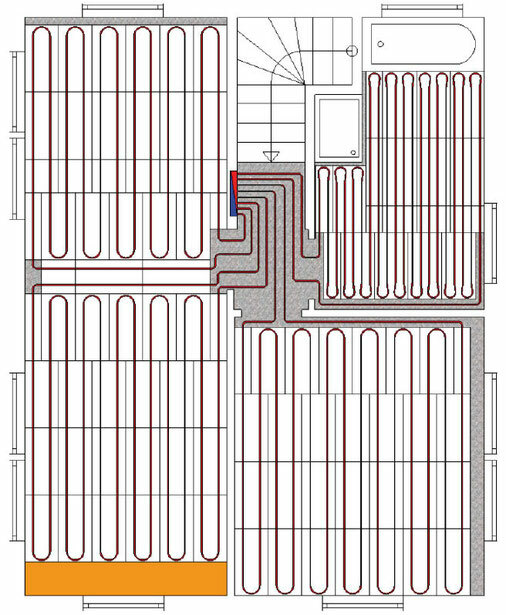 What final layers can be applicated on PowerFloor? Floatingly laid floor-systems or any bonded flooring, e.g. Solid wood parquets, tiles, natural stone or even soft linings, e.g. linoleum, can be installed on PowerFloor Slimline. The detailed PowerFloor Slimline processing instructions must be observed.